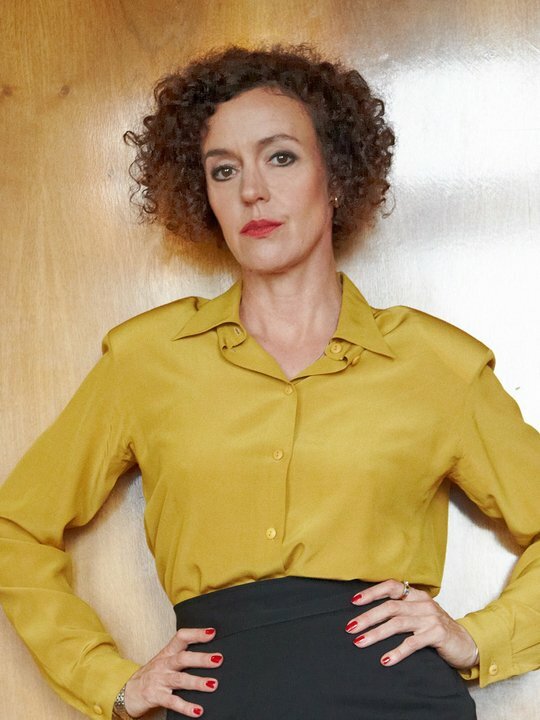 Posted on February 14, 2016 by Mrs P.
For the past seven weeks, Channel 4/Walter Presents viewers have been gripped by the German Cold War spy drama Deutschland 83, created by Anna and Jörg Winger, a talented German/American husband and wife team. Following tonight’s feature-length finale, here are my thoughts on the show as a Germanist who teaches/writes on German history and as a fan. The post contains spoilers, so if you haven’t seen the series, DON’T read on…watch the series instead! 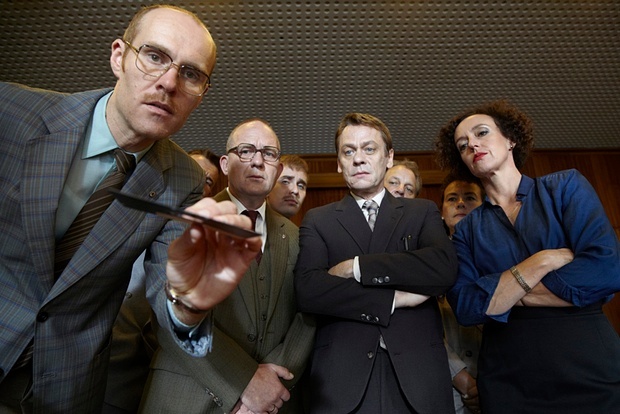 I watched the first episode of Deutschland 83 with slight trepidation. As a Germanist trying to persuade Brits of the merits of German culture, I wanted it to be good and to overturn some of the persistent UK tabloid stereotypes about Germans (earnest, humourless, Nazi). It was and it did. We were introduced to a host of intriguing characters and saw 24-year-old East German border guard Martin Rauch (Jonas Nay) bundled off to West Germany as secret agent Kolibri. 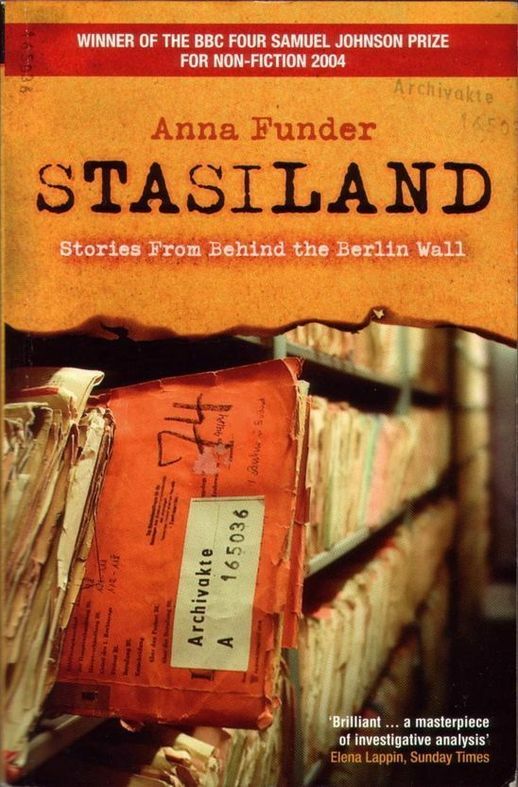 Posing as Moritz Stamm, an aide to General Wolfgang Edel, he begins to gather classified military secrets in Bonn and to pass them back to the GDR, as Cold War tensions between East and West rise. One big question the first episode raised was that of historical veracity. A friend of mine, an academic expert on East Germany, described the depiction of Martin’s recruitment by the Stasi (the East German secret police) as ‘baloney’. I totally understood this reaction, as I’ve had similar responses to dramas set in Nazi Germany (e.g. one where a Jewish-German protagonist calls out a cheery ‘Shalom!’ to his friends on a busy Nazi-era street). But allowances should be made: writers of historical dramas need to communicate complex information to viewers very quickly, which sometimes means taking what I think of as ‘symbolic shortcuts’. In this case, the use of the spy thriller genre also demanded exciting action and a brisk narrative pace: we obviously couldn’t spend six episodes with Martin while he was being methodically trained in spycraft, so some suspension of disbelief was required. On the other hand, the first episode managed to convey some fundamental truths: the Stasi‘s ruthless use of people’s personal circumstances to secure cooperation; the politicised nature of everyday East German life; the ideological hypocrisy of Western coffee and perfume making their way East via a border guard or a highly placed Stasi official; the very real military tensions of the time. And it was stylish. Beautifully shot, with a classy 80s soundtrack, its nuanced direction was serious or light as the action required. By the end of the episode I was hooked: how was young Martin/Moritz going to negotiate the tricky double identity that is the basis of a spy’s existence? The episode titles originate from NATO military exercises. Quantum Jump, Brave Guy, Atlantic Lion, Northern Wedding, Cold Fire, Brandy Station, Bold Guard and Able Archer all took place in 1983. The latter is of particular significance throughout the series. Tremendous historical and cultural breadth. The series successfully shows viewers the global scale of the Cold War in 1983 (from President Reagan’s ‘Evil Empire’ speech to the Russian downing of Korean Air Lines Flight 007); the profound legacy of the student/68 movement (from Alex’s interest in the Green Party and Yvonne’s life in a Rajneesh commune to Tischbier’s faux political activism at the University of Bonn); and the devastating rise of AIDS. The ‘coming-of-age’ theme. We see a number of characters having to grow up very quickly in the course of the series, such as Martin, Alex, Yvonne and Annett. The moral challenges they face in the process are effectively drawn, particularly in Martin’s case. Politically subversive libraries. Martin’s mother Ingrid may be the sister of a Stasi apparatchik and gratefully receive bottles of Chanel/privileged medical attention, but she also has a stash of illicit literature such as George Orwell’s 1984 in a secret room in her basement. She’s in cahoots with Thomas, helping him to distribute banned books from the boot of her car (a subversive mobile library!). The scenes in which Martin’s girlfriend Annett discovers Ingrid’s library and then denounces Thomas to the Stasi made me incredibly thankful to live in a society that values free speech. Ursula Edel and the fish (episode 5). One of the many darkly humorous moments from the series. The soundtrack is a delight, featuring 80s hits from East and West Germany, and the English-speaking world. There’s a full Spotify playlist here. My favourites include the German version of Peter Schilling’s theme tune ‘Major Tom (völlig losgelöst)’, Nena’s ’99 Luftballons’ and David Bowie’s ‘Modern Love’. Last but not least…Lenora Rauch. Martin’s ruthless Stasi aunt, who forces her nephew into the life of a spy, is beautifully played by Maria Schrader (whom you may remember from the film Aimée & Jaguar). Her ideological conviction is tempered by a world-weary, I’ve-seen-it-all-before vibe: the collapse of an operation just elicits a sigh and an extra-long drag on her cigarette. Oh, and she’s also a total 80s style icon, complete with perm, killer silk shirts and red lippy/nails. There may have been times where things threatened to get a bit silly, such as Episode 2’s entertaining but implausible attack on Martin/Moritz by the ninja-assassin-waitress. But the series always managed to pull itself back from the brink of parody and delivered some truly powerful moments. Linda Seiler’s death halfway through the series in episode 4 was a game-changer. When Martin fails to shake the NATO secretary’s loyalty to the West, she is run over and killed by Tischbier in a truly traumatic scene. This event shows us that Martin’s spying assignment is grown-up and deadly. Even though he resisted letting Linda drown in the lake earlier in the episode, he must still bear some responsibility for her death, which was necessary to protect his cover. It’s a le-Carré-style moral low in which innocent individuals are shown becoming pawns in much larger political games. To add insult to injury, brave Linda is left in an unmarked grave in the forest (a German fairytale gone badly wrong) and it’s suggested that she defected to the East. Linda’s apparent betrayal has consequences. It leads her boss, moderate NATO analyst Henrik Mayer to commit suicide, which allows hawks in the East and West to escalate military tensions. A special mention in this respect must go to Stasi official Walter Schweppenstette, whose ideological adherence is particularly dangerous. Told by a Russian superior that a decoded report must fit Moscow’s view of a predatory US, he dutifully edits and distorts its findings. In a chilling scene at the end of episode 6, the Russian is shown receiving the doctored report and accepting its contents as genuine, thereby turning fiction into fact, and taking the two sides perilously close to nuclear war. Tonight’s finale… took the world to the brink of nuclear destruction and back again. A number of characters had their morality tested, none more so than Martin, whose decisive action made key figures such as General Edel and Lenora begin to doubt Schweppenstette’s wilful insistence that NATO forces were about to launch an attack. One sobering aspect of this storyline was its emphasis on how the actions of just a few individuals have the power to trigger catastrophic destruction or perhaps…in a thriller at least, to stop it, allowing nuclear rockets to reverse back into their firing systems before our eyes. Phew. Alex and Martin are revealed to have been ‘twins’ all along, both the sons of powerful fathers on the opposite sides of the Berlin Wall. The knowledge of that fact will definitely enrich a second viewing of the series. Never has a border crossing – from WEST to EAST – been more thrilling. Didn’t the little fairy godmother in the car do well? Comic highlight: Schweppenstette’s inept dad-dancing to Udo Lindenberg. The series left a number of questions deliberately open. What of Martin and Annett’s future? If Martin passed his moral test, Annett failed hers spectacularly. Where will Lenora’s big adventure take her? And what of the Edels? Both father and son cut quite tragic figures at the end. Thomas is saved by Ingrid’s actions, but what awaits him in the West? To be continued….? One of the best things about Deutschland 83 is that it’s made Germany and the German language cool. I’ve been made inordinately happy by tweets such as these: @jazzywoop ‘#Deutschland83 writing, directing, production, casting, acting, location, music and design is magic. Elevated further by being in German’; @Yasmin_Gooner ‘German is the sexiest language in the whole world. 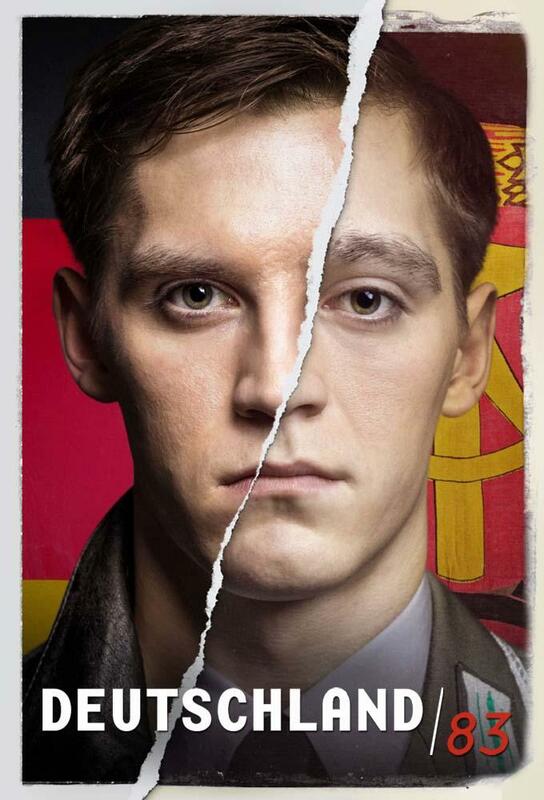 #Deutschland83’; @julzenthe1st ‘German students & graduates are giving each other high fives all over Britain’. Thank you Mr. and Mrs. Winger, thanks Walter! 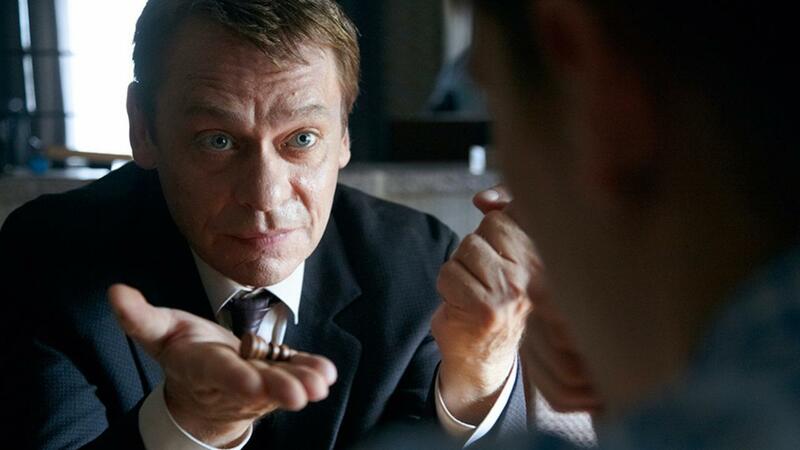 Goethe Institut interview with co-creator Jörg Winger about the origin and making of the series. The background to NATO exercise Able Archer, which could have resulted in a nuclear strike. 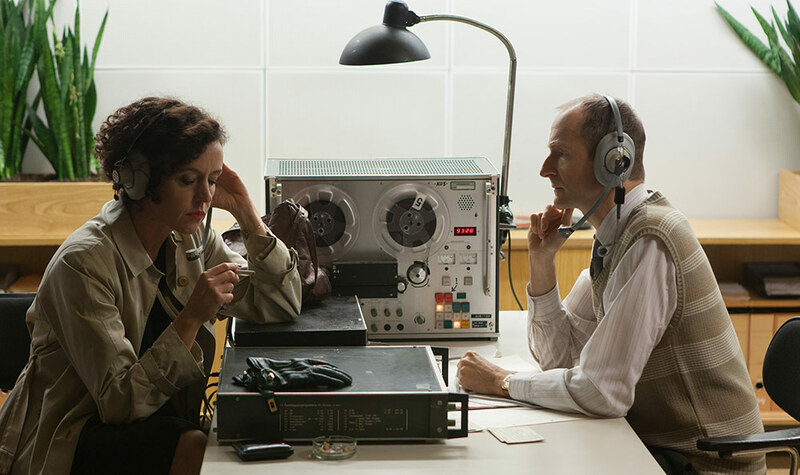 Exeter University historian Ned Richardson-Little’s blog post ‘Sympathy for the Devil: Seeing the World Through the Eyes of the Stasi in Deutschland 83‘. Sarah Hughes’ episode-by-episode analysis in The Guardian. And for all things German, see Goethe Institut London: cultural events, language learning & more. This entry was posted in America, By country, Germany, Historical, TV and tagged Deutschland 83 by Mrs P.. Bookmark the permalink. You’re welcome, Kathy. In his interview, Joerg Winger refers to the possibility of a Deutschland 86. It would be fascinating to see where the key characters are three or six years down the line, especially as we get close the the fall of the wall. 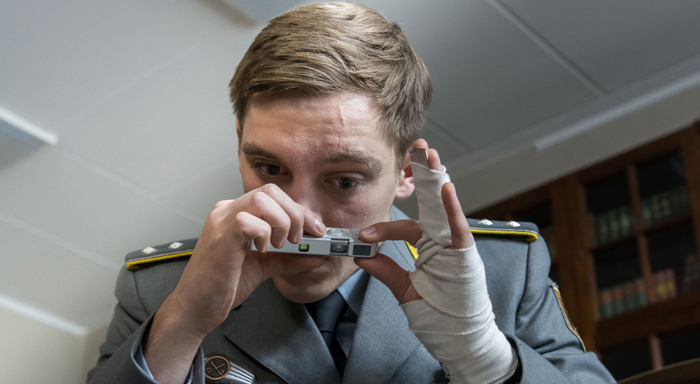 Deutschland 89 for series 3. Absolutely agree it was great TV – haven’t enjoyed anything from Germany so much since ‘Heimat’ ( yes I know a bit different!). I also agree that we shouldn’t be too worried about historical accuracy ( No apparent corresponding Western espionage network, the uselessness of western counter espionage, Martin’s transformation into a ninja warrior after a two week training programme etc, etc) – it’s drama after all. The revelation of Martin’s father at the end was a twist for the sake of a twist – it didn’t add anything dramatically. I was also wondering if it is fair to suggest that whilst Martin ‘passed his moral test’ Annet failed hers by remaining loyal to the regime – with the benefit of hindsight we can see how misguided that loyalty was but for some GDR citizens the post war ideal of the new state presumably still meant something.Finally, were we meant to assume that one of the Edels shot himself at the end of the episode? But despite all these reservations thoroughly enjoyable Sunday night viewing. Thanks, Kathryn. Yes, Heimat and Das Boot are the last really big German TV events that I can think of here in the UK, and that’s going way back. I’m so glad that UK viewers have had the chance to see a German series that’s more contemporary and of such high quality (admittedly there was Generation War in 2014, but I had mixed feelings about that one). I’d wondered whether Schweppenstette was Martin’s dad a couple of episodes back, so wasn’t completely surprised at that revelation. It did add a nice symbolic symmetry to proceedings for me (seeing Martin and Alex as ‘twins’ with highly placed fathers and historical baggage). There was some other ‘twinning’ going on – Yvonne and Annett for example – all part of bringing the different strands of the narrative together at the end of the series I guess. I agree that there’s a lot more to be said on the question of morality in relation to Martin and Annett. I do think Martin was brave to blow his cover: he could see that unless he did something truly drastic there was a high chance of nuclear attack, and he succeeded in making Edel and Lenora have doubts – they understood that his decision to reveal himself was an absolute last resort. But Tischbier had threatened Martin, using the unborn baby as a pressure point (blow your cover and the child will be taken from you), so arguably, Martin was putting Annett and the baby at risk in the process. Yes, I think that we’re meant to assume that one of the Edels shot himself. It really could have been either, couldn’t it? Thanks for the review-in particular for its contemporaneity! Just one point I would like to make for now.I’m not sure that Schweppenstette was necessarily driven by ideology-rather by the personal ambition that was/is typical of such bureaucrats and apparatchiks. Sadly there were probably ‘Schwepenstettes’ on both sides during the Cold War. Roll on the next helping of ‘deutchedrama’! Thanks, jonathancampaign. Yes, I agree with you – it’s perfectly possible that Schweppenstette was driven by personal ambition as much as ideology, and that there were similar figures on both sides. One thing I found quite poignant was how alone both Edel and Schweppenstette look at the close of the series – both sacrifice personal relationships for their professional lives and cut very lonely figures at the end. I *almost* felt sorry for them. Ingrid and Schweppenstette’s backstory was fascinating. She appears to have been his big love and I wonder whether she rejected him because of his turn towards a hardline ideology/the Stasi OR whether he went in that direction when their relationship didn’t work out. Perhaps it’s time for a Deutschland 60 prequel? That would be so interesting – just a year before the Berlin Wall goes up. Nobody I’d rather read on Deutschland 83. The international success of the series here and in other countries will help, I’m sure. Fingers crossed! People in such positions can see the way things are going and join in just be on the safe side with the Authorities. Do you mean Schweppenstette, Michael, or more generally the GDR citizens who were shown? One thing I liked about the series was that it showed people reacting differently to the GDR regime, so that there was a spectrum of responses on display (compare Annett to Thomas, for example). The message did seem to be that people had choices, although one could also argue that the degree of choice was limited given the social context of a tightly controlled regime. Found it a ripping series with finely-drawn characters – despite occasional need to suspend disbelief. Moritz phoning Annett in the GDR from his Bundeswehr general’s private residence, remaining undiscovered in the border check on the car at Marienborn, the James Bond ninja fight in the hotel, forced recruitment of Martin into espionage, the shooting of the genuine Moritz Stamm on a train, the ex-schoolfriend from Braunschweig (ADC to MG Jackson?) who failed to recognise Martin as an impostor, all these didn’t quite ring true for me. The setting was all too real, though: growing East-West tension with Reagan’s SDI and Pershing II stationing on one side, and Warsaw Pact paranoia about a NATO pre-emptive first nuclear strike on the other. If there’s a sequel, and I do hope there is, it would be good to develop the theme of dissent in the GDR. We had a glimpse of this in the figure of Thomas, the secret library, Stasi interrogations and allusions to meetings in Lutheran churches. I missed to some degree that all-pervading oppressive aura of fear of being bugged, overheard and watched by the Stasi and informants. Making Germany and the Germany language cool, as you say, Mrs P. What an excellent Further Reading list! Yes, that generalised fear of not being sure who is on your side, having people inform on you throughout, was far more pervasive. But I also liked the subtle hints that GDR also lost some things with the German reunification, for instance in the conversation between Annett and Yvonne about the baby and how she is going to manage, and Annett says ‘I’ll just have to raise it on my own’ and Yvonne says that wouldn’t be possible in the BDR. Working women and mothers have really felt the cost of reunification and differences in policies most accutely. Yes, child care for working mothers was far better in the GDR, even if some may say this was not always good for the child. Also, in the absence of the dividing influence of capitalism, materialism and consumerism, there was a sense of all being in the same boat. Despite the oppressive presence of State and Stasi, people looked after each other as a community, to a degree that was often missing in the FRG and generally in the West. After four years in West Berlin in the 1970s, in 1983 I was living and working (as a civilian) with the British military community in Hannover (after a month in Bonn). I remember well the heated public debate and demonstrations about the stationing of Pershing II missiles, and also the rise in popularity of the Peace Movement and the Greens led principally by Petra Kelly and her partner, Generalmajor Gert Bastian. I didn’t realise, though, how tense East-West relations were at that time and how close to a nuclear holocaust we were, as suggested in Deutschland 83. Yes, the loss of all that lovely child care, MarinaSofia. And didn’t they have a Haushaltstag in the GDR – a day that you could take once a month to catch up on household chores? Thanks Clive, for sharing your friend’s story and your own memories. Fascinating and will check out the link. Thanks for your comment, Clive, and that illuminating quote from Reagan’s memoirs. The paranoia on the GDR/Soviet side was very convincingly portrayed in D83 and it was interesting to see. And yes, that moment when Martin/Moritz phoned Annett from the Edel’s house was particularly lacking in credibility for me. Not quite sure how Renate could have heard/figured out what was going on so precisely either (but the comedy value was high – the ditsy, flaky sister turned out to be spot on in her suspicions about M). I agree with you that it would be good to develop the theme of dissent in the sequels. There was already mention in this series of the church (Thomas on his church trip with friends), which points ahead to its later role in encouraging protest. There have been lots of good articles about the series, haven’t there? Nice to see that there’s been so much engagement with it from so many different angles. I think I saw that drama you mentioned where the Jewish-German protagonist calls out “Shalom!” to friends on a busy Nazi-era street. Was it the opening episode of “Unsere Mütter, unsere Väter” (Generation War)? That character happened to be played by Ludwig Trepte, who was… Alex in “Deutschland 83”. It was indeed, Lucy. I almost switched off at that point… And yes, what an odd coincidence – our Ludwig yet again! I could finally read your thoughts in detail and comment today, as I was watching the final episode on catch-up TV last night, so didn’t want to spoil it (although I rather guessed that we weren’t annihilated by nuclear war back in 1983). It is quite frightening how close we came to that a few times during the Cold War. I loved the series, of course, even though there were some ‘shortcuts’, as you say. Perhaps the actors were all too good-looking and slightly too well-dressed in the GDR, and the Charite hospital a little too fancy (although it was the leading hospital in the GDR, there was always a bit of a shortage of equipment and medical supplies in all of the East Bloc). But it was entertainment rather than historical re-enactment and for that it was perfect. And I’m always keen on anything that raised the profile of German. I’ve always been puzzled why German is not more popular as a foreign language option in the UK, as there are so many communalities in vocabulary and pronounciation is easier too than French or Spanish for English speakers. Thanks, Marina Sofia. I thought one of the plus points of the series was conveying the atmosphere of paranoia and fear so convincingly that you actually believed nuclear war was a possibility (even though you *knew* it hadn’t taken place). As you say, frightening how close we could have come. I thought Thomas looked very sweetly/stereotypically GDR: dodgy haircut, mustache and acres of stone-washed denim. Lenora was very much the GDR power-dresser, but then of course her position gave her access to all sorts of nice things that ordinary citizens couldn’t have. As to why German is not more popular as a foreign language here: I think it’s perceived to be difficult because of the genders and cases, but as long as you have a good teacher, you’re fine. And given that Germany is a huge import/export partner of the UK’s, it’s a great language for Brits to learn. Employers are crying out for fluent German speakers. beg to differ with your last – German cases, reflexive verbs and vocab still give me nightmares. I needed those subtitles. Excellent commentary, lets hope the series has been a success for C4 in the UK, then perhaps we might get to see some more of the Winger’s works, like 300 episodes of ‘Leipzig Homicide’..
Ah, you just haven’t found the right German teacher yet! I would LOVE for SOKO Leipzig to make it onto British screens. Some of Tatort (Crime Scene) is on the way, I think (the Hamburg ‘Cenk Batu’ episodes) – will chase that up.